Digital Dream Labs have combined both physical counters and accessories together with a companion application that is supported by both Android and iOS platforms to aid children learn maths and enjoy creativity using a new Art application. Designed for children’s six years and above the Puzzlets applications have been designed to introduce “tough” subjects to children and provide a more immersive, fun and interactive way to learn mathematics and drawing. The team over at Digital Dream Labs explains more about the inspiration behind the educational tablet applications and the funds they require to construct the hardware. 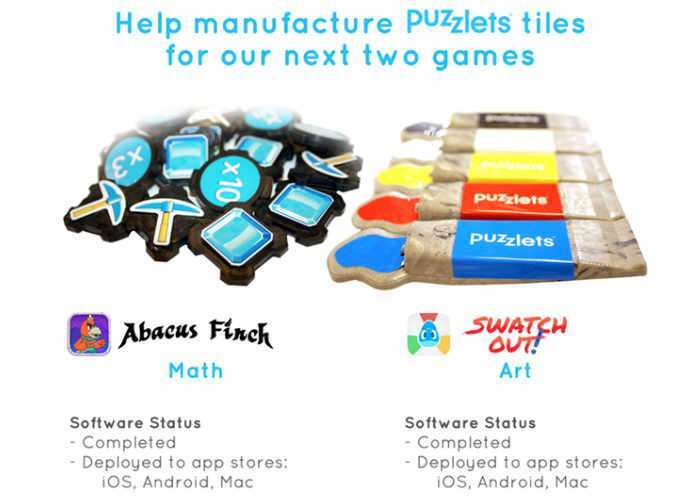 Puzzlets is a hardware accessory that connects to your tablet, phone, or Mac computer for playing games that focus on STEAM topics, such as: coding, math, and art. To play any Puzzlets game, you need the Play Tray and Puzzlets tiles. Each set of Puzzlets tiles is unique to that game. All Puzzlets games can be enjoyed by one or two children, ages 6+. 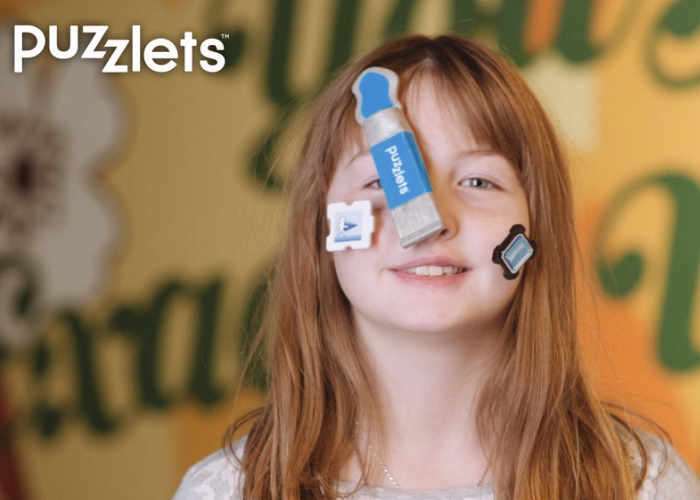 While Puzzlets emphasizes STEAM skills, it also fosters “soft” or “21st century” skills that are just as important by having children cooperate to conquer each level. Why did we create a math game? Teachers reported to us that students struggle in math the most with composition of numbers. For example, students often think “7” is composed of “3 + 4” but don’t realize there are many combinations, such as “1 + 6” or “5 + 2”. Focusing on each number’s varied compositions is the basis for Abacus Finch.